Selections from the Museum’s collections are organized here in three groups: Beyond the Facade shows architectural features of our landmark home, the 1887 Eldridge Street Synagogue. 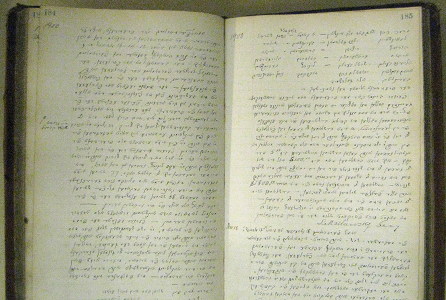 From Ellis to Eldridge looks at material relating to the immigrant men and women who came together to form the synagogue’s congregation, and at the Lower East Side neighborhood in which they lived, worked and prayed. Ways We Worship includes Judaica and synagogue artifacts used during services at Eldridge Street and elsewhere in the neighborhood. Many of the objects described here are on display at the Museum. 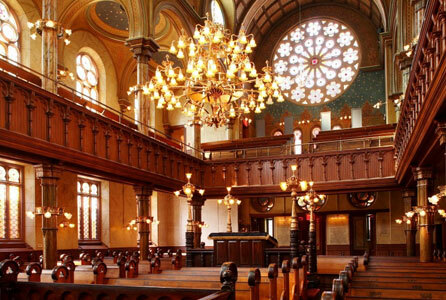 The Museum’s primary asset is our home, the magnificent Eldridge Street Synagogue. We consider the building’s various elements as a curator would a collection of artwork or artifacts. By looking closely at the synagogue’s design and decoration we can better understand the beliefs and aspirations of the Lower East Side community who gathered here and who made changes to the building over time. The objects featured here explore Jewish culture and ritual as practiced by generations of Jews, including the immigrant congregation at the Eldridge Street Synagogue. The Museum’s collection holds objects specific to Eldridge Street as well as at neighboring congregations that no longer exist. Learn more about the Torah, the central document of the Jewish faith, and ornaments used to embellish and glorify it. Many of the founding members of the Eldridge Street Synagogue were immigrants who went straight from Ellis Island to the Lower East Side. Here in America, they were faced with new American ideas about government, business, entertainment and religion. They also were committed to respecting Jewish law and traditions. 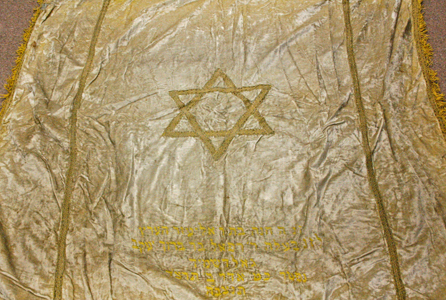 The objects shown here, from Yiddish signs to the congregation’s early constitution, address the tension between old home and new.